Medical Weight Loss Option! Are You the Right Candidate? Obesity is rampant in our country. We are a mobile society and eat our food on the go. Run, run, run seems to be our motto. The only problem is we are not really running. We spend a lot of our times at a desk or in a car, grabbing our meals from places that fry just about all of their menu items. Over time it begins to take its toll on society. If you are more than 350 pounds, you are considered morbidly obese. Medical weight loss might be a plausible solution for you. Why? At that weight, simple tasks seem almost impossible. Exercise is usually out of the question if you are between 400 and 500 pounds. Raising your arms to eat can be exhausting by the time you are finished with your meal. You want to lose the weight, but need some help to kick start your healthy lifestyle. Medical weight loss is a great solution. A few things to keep in mind if you are considering medical weight loss as an answer. Ask your doctor about medical weight loss. This cannot be stressed enough. You will undergo surgery. They are going to have to cut you in order to perform the operation. You need to discuss medical weight loss with your doctor and get assessed. He or sh can determine if you are physically able to undergo the strain that comes with surgery. You will have to prepare. Typically, most surgeries require that you do not eat past a certain point. You might also have to drink a liquid that cleanses your system. All this does is prep your insides for the procedure. The doctors like to have a nice, clean, empty stomach to operate on. Total lifestyle change will be required. After a medical weight loss procedure, you are really going to have to watch your sugar intake. Follow up visits with your primary care physician will probably be required. At these visits he or she might tell you to limit your desserts or cut out sodas all together. You also need to prepare yourself that you will not be able to eat as much as you did before. This is due to the nature of the procedure itself. During gastric bypass surgery, the surgeon will remove a portion of your stomach and/or your intestinal track as well. Once this part of the medical weight loss procedure is performed, there is no going back. You will not be able to eat as much as you used to, and you will fill full quicker. Over the next three months you will experience rapid weight loss. Once the procedure is performed, most people go on to lead happy, healthy, fulfilled lives. Medical weight loss surgery is a small price to pay for fulfillment and the self-esteem that comes with being a healthy individual. 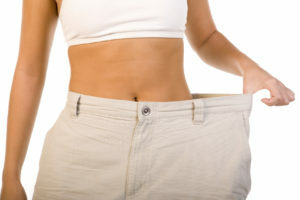 Check with your insurance plan to see if medical weight loss surgery procedures are covered. A few final notes concerning medical weight loss surgical procedures. You might need a follow up tummy tuck or a body lift once you lose all the weight. Skin stretches over time and a little plastic surgery magic might be required to put it back in the right places. This usually does not come into play though until you reach your final goal weight. Your doctor can help determine when the right time to entertain such an option might be. However, one thing is certain. If you need a permanent solution to help you lose unwanted weight, medical weight loss surgery is a good option for you to consider.